Have you ever asked your students to measure the length and width of the room and then to calculate the area? Did you include the height and work out the volume? You may have done this with younger students to introduce them to practical uses of mathematics. Not only were you using your classroom as a giant manipulative, you were also introducing the students to thinking like an architect. Have you ever challenged your students to build the tallest possible tower or the strongest possible bridge out of some handy material like recipe cards? Those activities are integral parts of many structure and design curricula. Have you ever considered that knowing the difference between Doric, Ionic and Corinthian columns seems to be a basic fact we teach/learn in school, but being able to describe why a brutalist building is not brutal is a challenging discussion. There seems to be a well-established canon for chemistry, physics and biology. I have found it relatively easy to work with students to disaggregate the biology curriculum in preparation for diploma exams. Making a list for what an educated public needs know about architecture is a much more difficult task. 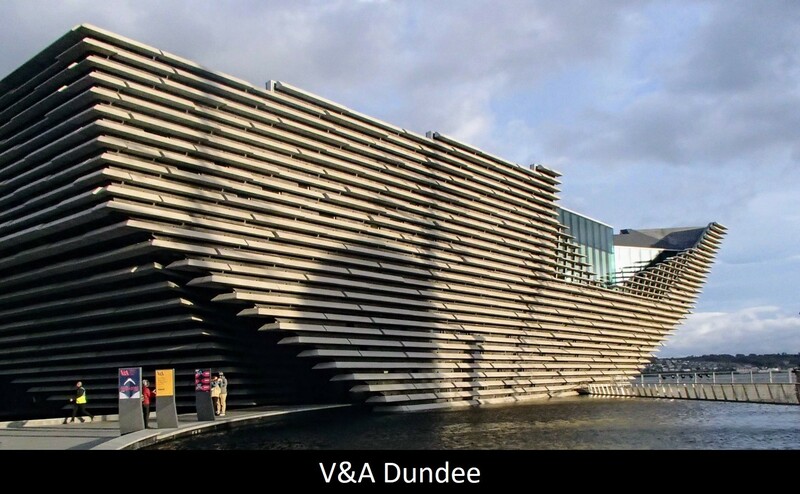 Last winter I saw a segment on the news informing me about the architect Kengo Kuma and his new building to house the V&A Museum in Dundee Scotland. The museum was scheduled to open September 15, 2018. I planned to visit the museum a couple of weeks after opening in hopes of missing the early crowds. Since the major reason for my travel was to see this new museum dedicated to design, I looked at what other opportunities there were to stay on the theme of design. Amazingly, it was a very easy task. 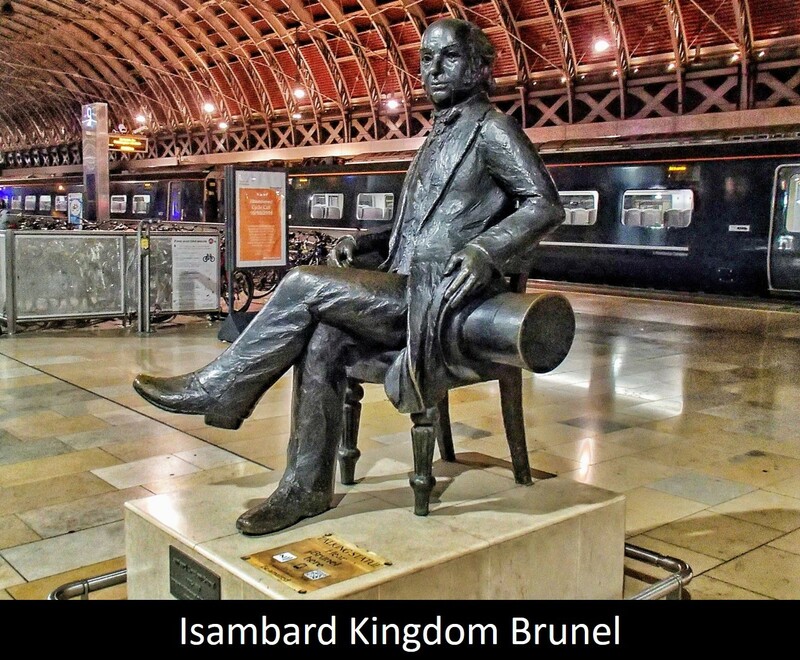 When I got off the train at London’s Paddington Station, I paused briefly at the statue of famed industrial revolution-era British engineer Isambard Kingdom Brunel. This statue, which has been in place since 1982, caught my attention this time because it is part of the “Talking Statues” project. Snapping a photo of the QR code led to my phone ringing and it was Isambard Brunel on the line telling me to look around and examine the features of this station built in 1854 with his vision to give people access to move around the country. It remains a very busy place still doing the job he envisioned. It was lucky for me that during the planning phase of my trip I found that the temporary exhibit at the Wellcome Collection (until March 2019) is an examination of health and architecture. According to Wellcome Collection this exhibit is about 'Living with Buildings'. From Dickensian slums to high-rise towers we chart the impact of architecture on our health and wellbeing. The main lesson I learned from this exhibit was how much progress has been made in the past hundred and fifty years. There was a convergence of ideas about sanitation, germs, and disease that have contributed overall to an increase in both lifespan and quality of life. Amazingly, we can read today that perhaps our urban world has become too clean for our microbiome health. On the theme of germs, disease and infection, I climbed the steps to attic of the early eighteenth-century church of the old St Thomas' Hospital. There in the Old Operating Theatre I observed an ‘operation’, an outreach program for children and their parents during their school half-term holidays. I felt myself lucky to have been born after the invention of antiseptics and anesthetics. 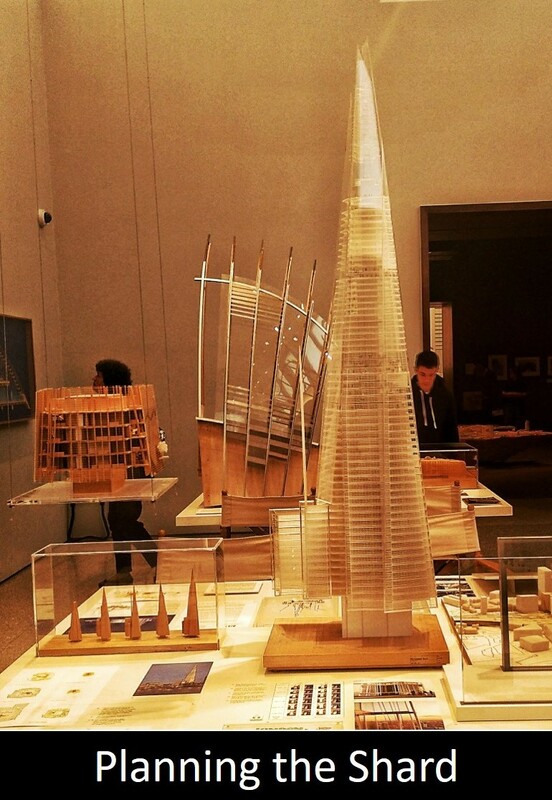 I had one more major stop while in London: The Royal Academy of Arts until January 20, 2019 is mounting an exhibition Renzo Piano : The Art of Making Buildings. 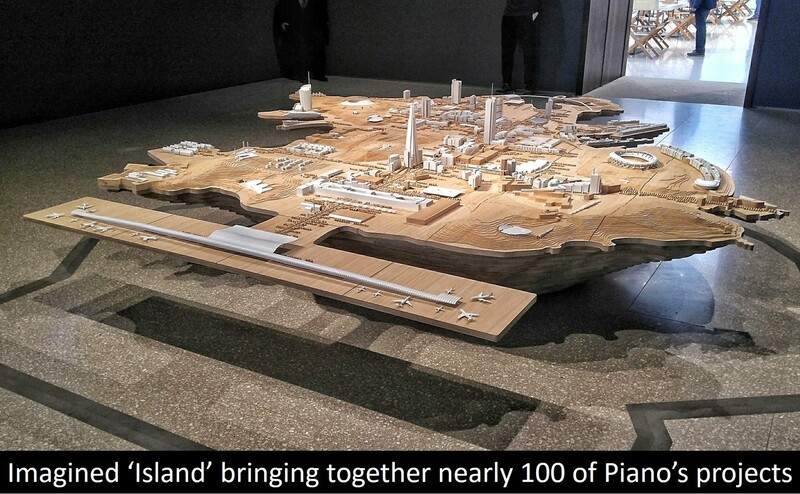 Although Piano does not have any buildings in Canada yet, the new Toronto Courthouse is scheduled for completion in 2022. His work has transformed skylines in many major cities including London, Paris, New York, Los Angeles, Amsterdam, Osaka and Rome. As the Royal Academy of Arts website proclaims, while visiting this exhibit, I was able to ‘Marvel in rarely seen drawings, models, photography, signature full-scale maquettes and a new film by Thomas Riedelsheimer that show how inspiring architecture is made’. In part II of this blog, I will relate details of my visit to the new V&A Dundee as we continue this journey seeking science in design.